The Rescue Emergency Care (REC) Emergency First Aid for the Outdoors course (formerly REC Level 2) weekend is designed to introduce a practical and systematic way for managing a first aid situation. Classroom teaching and practical sessions are mixed with scenarios to give real live experiences. The course is 16 hours long and certified for three years. 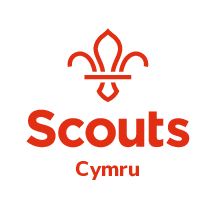 It qualifies as a “Full First Aid Certificate” for The Scout Association (the minimum required for groups undertaking adventurous activities in Terrain 2). It is also recognised for Mountain Training, British Canoeing and Royal Yachting Association courses. We dual certify our first aid course. Your certificate will also be valid as an Emergency First Aid at Work qualification. All courses include food and accommodation. The centre is open for arrival the evening before the course starts.